Have you read the DC Reads title? 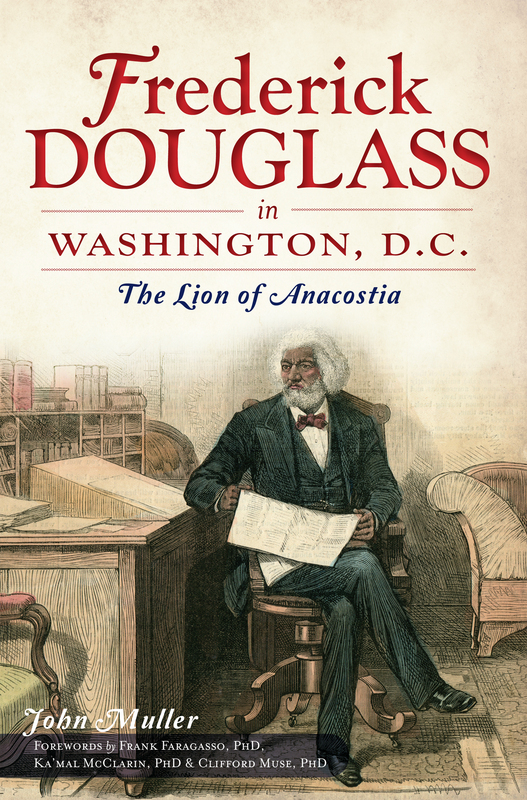 Check out Frederick Douglass in Washington, D.C.: The Lion of Anacostia. What was Douglass’s most significant contribution to Washington, D.C. during his more than two decades as a resident of the city? Why was Frederick Douglass known as the “Lion of Anacostia”? Why was Douglass reluctant to assist in launching a newspaper in Washington? What impact did the involvement of his sons – Lewis & Frederick Jr. – have on his decision to begin the New Era and continue to finance the paper? Why did Douglass have such a short tenure as a member of the Territorial Legislature? Why do you think he accepted the position? Why did Douglass move from Capitol Hill to Anacostia? What is the family lore behind his move? What was Anacostia like back then? What role did Frederick Douglass have as a member of the Board of Trustees of Howard University? Was his service of consequence? In what ways was he an active member of the Board? Why was the appointment of Douglass as Marshal of the District controversial? What objections were raised? What did he do while Marshal? What was his daily routine? What were some of the notable events of his Marshalship? How did Douglass react to the death of his first wife? How did he meet his first wife? What was their relationship? Who was Douglass’s second wife? How did Douglass meet his second wife? What was their relationship like? Why did their marriage attract attention? Who were some of Douglass’s neighbors in Anacostia that he had relationships with? What sort of neighbor was Douglass? What were some of the ways the Douglasses entertained in Anacostia? What were some of the activities Douglass enjoyed? Did he play a musical instrument? How did Douglass mentor the younger generation of activists? Who were these activists? 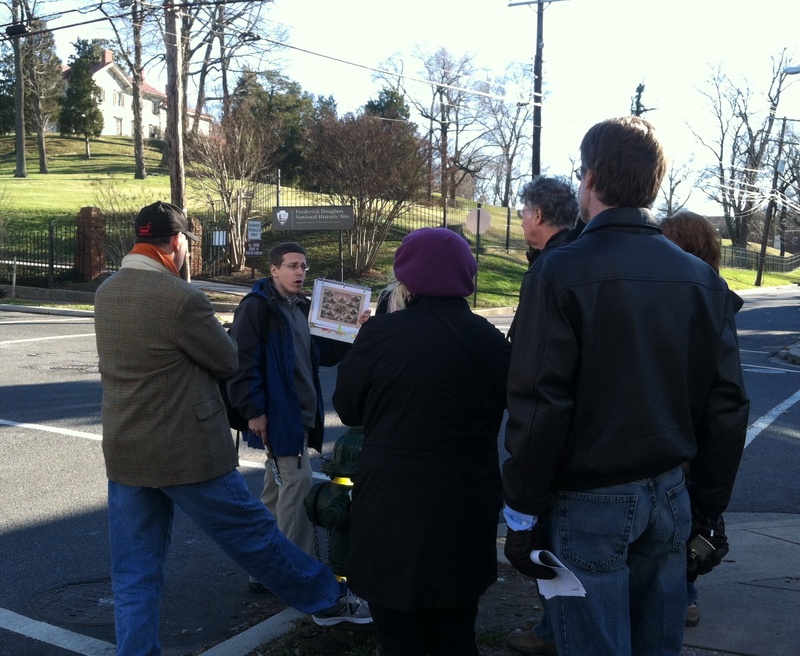 What churches did Douglass attend in Anacostia and across the city? Who was Frederick Douglass as a grandfather ? Who was Joseph Douglass? Who were some of Douglass’s friends in Washington? What was the extent of their friendship? How did Douglass earn his money? How did he spend and invest his money? What is the legacy of Douglass in Washington today? Why did Douglass decline invitations and suggestions to pursue a seat in the United States Senate? What are some of the new books expected out about Douglass? Do you want to take a walking tour off the beaten path? Do you want to get off the Mall? Do you want to discover Historic Anacostia and the life and times of Frederick Douglass, the neighborhood’s most famous resident? DC Public Library announces citywide events for 2013 DC Reads! For a full listing of the more than 20 events across the city go HERE! This year’s DC Reads book focuses on the famous abolitionist Frederick Douglass’ time in Washington, D.C. During his life, Frederick Douglass created several anti-slavery newspapers to get his message across. Join us as we take everyday events that happen in our own lives (and a spice of creativity) to write a fictional newspaper article. Enjoy a DC Reads historical information session about Frederick Douglass. Watch a Frederick Douglass documentary, followed by a discussion of several books that showcase his role in the Civil War, his activities in the Anacostia area and various issues such as race relations, civil rights and slavery. Riverby Books (417 East Capitol Street SE, 202.543.4342) in partnership with the Southeast Library. As part of the month-long DC Reads program, MLK Teen Space will hosting a tour of the Anacostia’s virtual museum on the famous abolitionist Frederick Douglass. We will also be exploring Heritage Quest so that teen patrons can learn how to research their family history. Enjoy a PowerPoint slide show of Frederick Douglass’ Life, followed by a fun trivia questionnaire for participants.